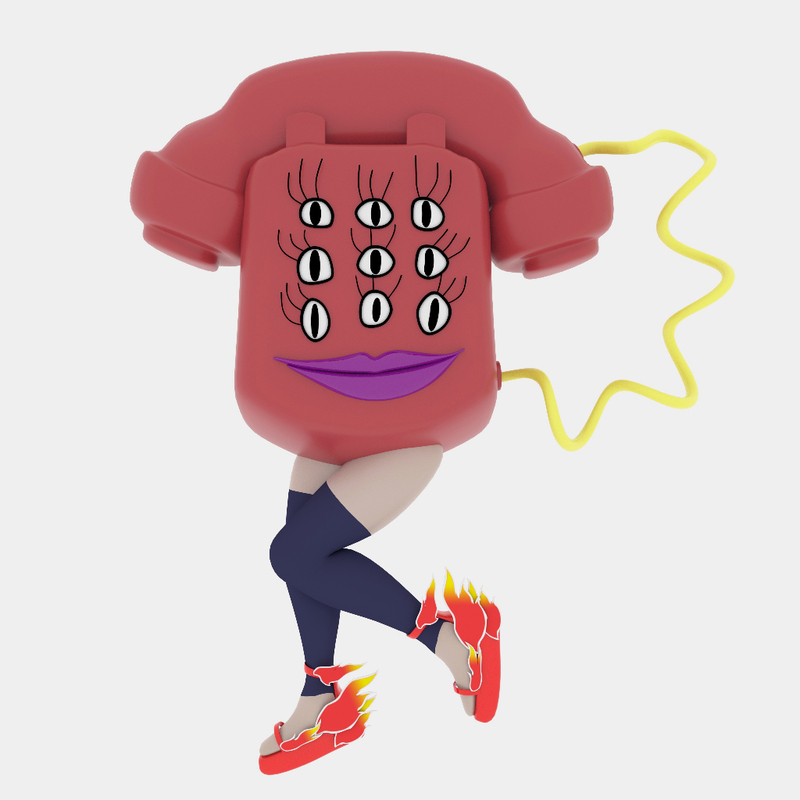 An animated cartoon in the form of a female telephone embodies and voices a script that has been composed by an accumulation of one-year text messages extracted from a cell phone archive. The messages were received and sent within the context of Buenos Aires from July 2010 until July 2011. The juxtaposition of messages combined with poems shows the possibilities and impossibilities of communicating and reaching the other. The script was originally performed at the Dutch Art Institute, Arnhem in June 2012. It was also performed at Lost & Found, Theatrum Anatomicum, de Waag Society in Amsterdam, December 2012; and at The Poetry Readings Program, Documenta 13, Offener Kanal Café, Kassel.